The selection of the yarn weight has much to do with the intended knitting project. If you are wanting a chunky sweater, then it stands to reason that you would choose a heavier weight of yarn. Equally, looking for something more elegant and lacy, then you would likely choose a lighter weight of yarn. 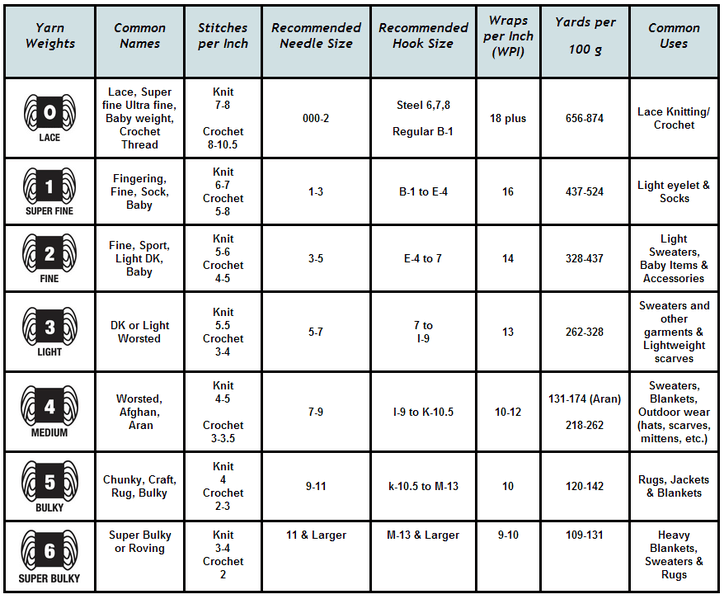 The below table gives you the weights and needle sizes for different yarns and the "suggested" usages. Of course, rules are made to be broken so feel free to experiment. Like our website? Then feel free to follow us on Twitter or like us on Facebook from the links below. You can also check out a myriad of other possible stitches from the links above or categories below. You either love it or hate it. Acrylic yarn is a man-made fiber, formed of polymers created from petroleum products i.e. crude oil. Even though, it has not been sheared from the back of a four-legged creature, it still has some benefits – not to mention strengths – that are worth to look into when deciding what type of fiber to use for your knitting project. 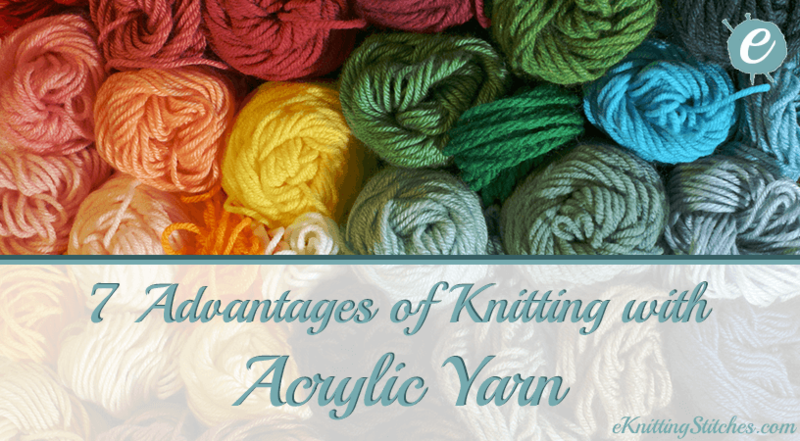 In this article, we'll run through the advantages (and disadvantages) of knitting with Acrylic wool. Not to mention a little insight into its manufacturing, which projects are best suited to acrylic yarns and how to care for them. Acrylic yarns were first developed in the 1940s by Dupont and were being produced in large quantities less than a decade later. The polymers are created from several processes that produce long string-like strands and then turned into short, controllable lengths resembling wool hair, and ultimately "spun" into the yarn we know. I say spun, but unlike natural fiber yarns, such as cotton, wool, cashmere and silk, acrylic collections are not spun, but they are twisted into long lengths of acrylic thread that makes up the yarn. Learn more on how Acrylic Yarn is manufactured via Red Heart Yarns. As Acrylic yarn is a man made fiber, it can easily be made to various specifications, including its color, providing practically endless options. With modern technology, acrylics are color-fast and are not prone to running. If you can't find the particular color you're looking for in the store, you can even try dying it yourself. Food coloring and a microwave being one potential possibility, don't believe me, then take a look at this how-to video. Video on how to dye acrylic yarn using a microwave & food dye via ChemKnits Tutorials. Acrylic yarn is mass produced in large quantities quite easily, so generally, it is one of the cheapest yarns to buy. As such, Acrylic yarn is often used in clothing as it is much cheaper than cashmere and alpaca wool. If you are a knitting beginner, acrylic yarn is a good place to start as it is less expensive than other yarns, and therefore ideal for practicing simple projects. 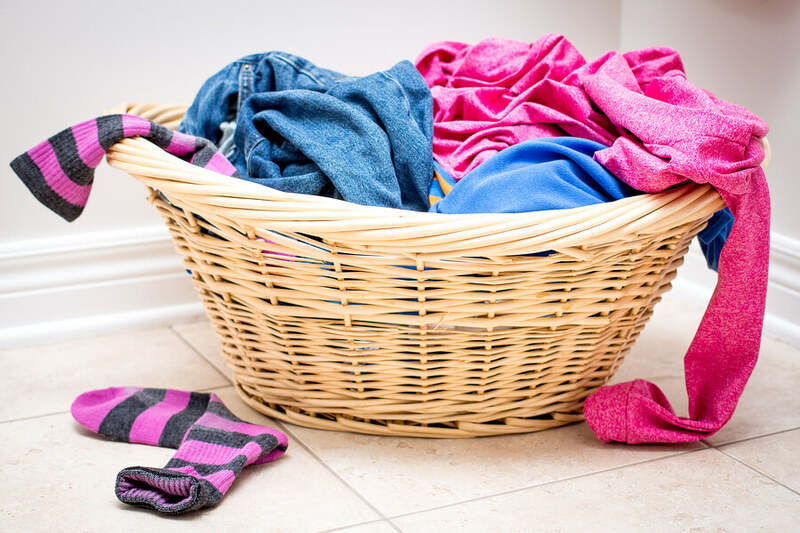 It is much less sensitive than natural wool or cashmere to detergent and warm water, meaning it can handle a standard round in the washing machine without shrinking or shedding. As such it is excellent for items that require ease of cleaning, such as sweaters, linings, gloves, furnishings, and blankets. It is particularly ideal for baby garments that need constant washing. Acrylic fibers are very durable, making them excellent for any projects that require an enduring yarn. As a petroleum-based product, it will take many many years for it to degrade. 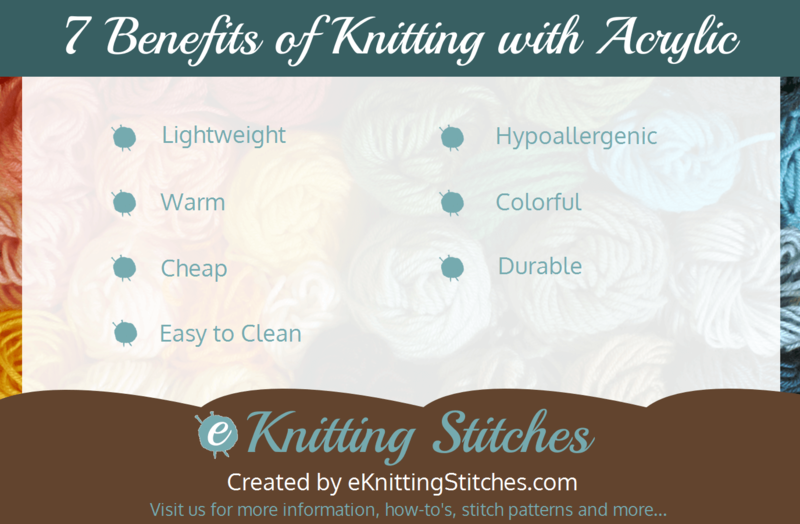 Another benefit of the acrylic yarn is the since it is synthetic fiber, it is impossible for moth larvae to digest it. A couple of caveats to this, if it is blended with a natural fiber or even if you store it with some pretty sizeable stains the chances of the moths mistakingly using your garment for breakfast increases. Acrylic yarn is warm. It may not have the warmth of alpaca or sheep wool, but it will still keep you cozy on a cold winters day. Knitting a large blanket or throw and still want it to feel lightweight? Acrylic could be your go-to yarn for this one. The synthetic polymers that the yarn is made from has a lower density than that of natural fibers. 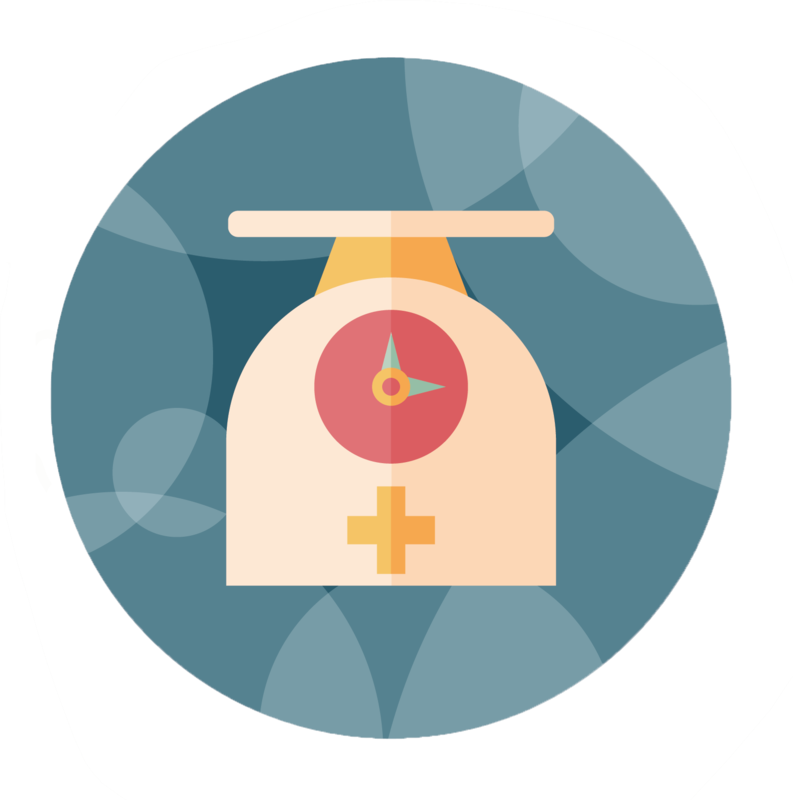 Thus, enabling much lighter feeling items. The synthetic fibers that acrylic yarn is made from are perfect for folks who are either allergic to lanolin (common in wool) or are sensitive to the scaling of wool fibers. Unlike natural wool 100% acrylic yarn will not let your body breathe the way sheep or alpaca wool will. It is not because an acrylic sweater is holding onto the warm air of your body, it is holding on to your sweat. Which leads into disadvantage number two. As acrylic yarn holds onto your sweat, this also means it'll retain the smell (well, until it's next wash you smelly pup!). Additionally, if you are caught in a cold, heavy rain with an acrylic garment on – and no umbrella – you will feel cold since the sweater will lose your body heat faster as it can't remove the water quickly. If you are looking for something to keep yourself warm in rugged, wet terrain, it is probably wise to not pack your acrylic sweater. The extra investment in natural wool will give you the return of keeping you better protected from the elements. Acrylic and fire should not even be in the same sentence. Under high temperatures, Acrylic will melt causing terrible burns if it gets in contact with skin. You should be especially careful of clothing the little one's in acrylic if they are likely to be near open flames. Knitters sometimes complain that acrylic yarns do not remain even after being knitted or crocheted due to the lumpy, twisted texture of the synthetic materials. Additionally, these synthetic yarns will sometimes pill more readily than some of the natural fibers. Acrylic blends are very popular as it combines fibers to get the best from both worlds. Wool and acrylic blends are very popular, the same with cotton and acrylic. It gives a whole new type of garment as the acrylic can take some of the itchy parts away from the natural wool in wool acrylic yarn blends. In cotton acrylic yarn blends you can get a much softer type of yarn as the cotton will add softness to the yarn while the acrylic will provide more flexibility. There are numerous of blends with acrylic in it from 80% to 10%, two-blends or five-blends. Acrylic knitting yarn is light, soft and cheap – with the most modern yarns sometimes mistaken for wool. It, of course, comes down to personal preference, but in my opinion, acrylic yarn has it's applications and shouldn't be overlooked. There are many brands and qualities of acrylic knitting yarn available. Touch, feel, squish and pull the yarn if you have the chance to do so - if it doesn't feel good to your fingers, find an alternative. We wish you all the best with your acrylic adventures, and if you have any questions or wish to share your end result with us, feel free to do so from the "contact us" page or in the comments box below.